Let me know what you think of this series in the comment section! 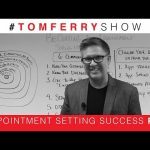 31 Responses to "6 Tips To Schedule More Appointments On The Phone | #TomFerryShow Episode 74"
just 15mins after i got an enquiry from a customer, told her i will get the info pack ASAP and here is the video! wow, what a timing! I love your energy! I’m working on getting my license! 😊 super excited! What model headset you are using? Thx! Tom – what kind of head set do you have on on your videos? Just found your content and really enjoy it. Thank you! I am going to eliminate (clean up) distractions. love it! love it! love it! You get me so pumped up. I have watched 157 of ur videos. Every one is powerful. This is one of my favorites. Thank you so much Tom! I Love the three fear reducing questions! 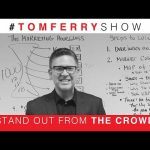 Hey +Coach Tom Ferry , where get we get what to say (scripts and dialogues), that are relevant in today’s market&? Thank you. Episode 74 is officially the BOSS episode. Top 3 for sure! FLIPPN FANTASTIC! 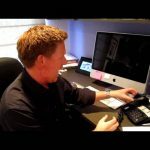 – Absolutely love the video and all the great info. what if the person can not stand due to being in a wheelchair? 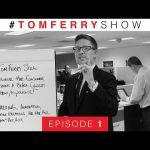 Thank you Tom Ferry! This so helpful for a new agent like myself! I’m going to your event in Portland next month! Coach – what’s the best headset…? Great vid! Standing up when talking and a good headset are on my hit list for the week. 18.control the environment with a mirror. 20. use sfx attack fear objections worries, through movie like star wars light sabers. This appointment series is so motivating!! Thanks a million Tom! Hi: I love your videos. But, could you record a little louder? I have the sound up to the max on my device and your video and I am having a hard time hearing you. One of the Best video’s Ever! I am so new to business so creating an appt setting shrine will help immensely! Having dialogues, scripts, objection handlers and visual goals ALL in front of me will keep my on track and eliminate distractions! Defiantly getting a office plant too! I will be sharing this with my ISA’s. Thanks Tom! Do you recommend I emailing the listings to the possible buyer? ?